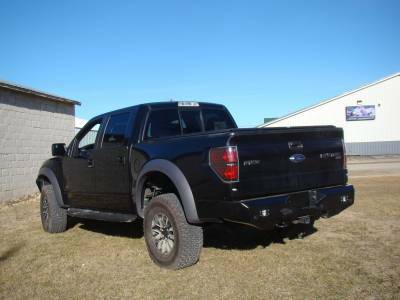 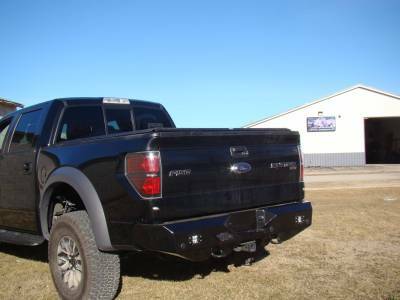 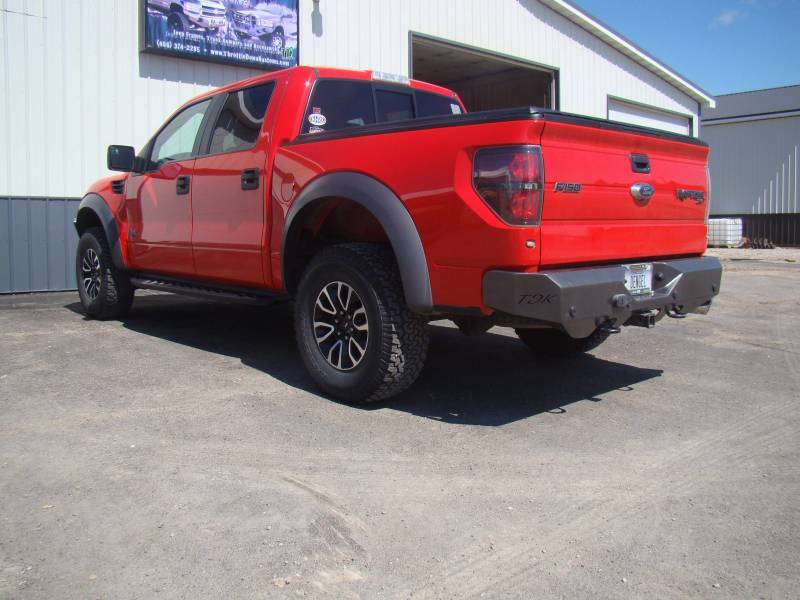 Your 2009-2014 Ford Raptor will look as good heading out as it does heading in when you add a Throttle Down Kustoms rear bumper. 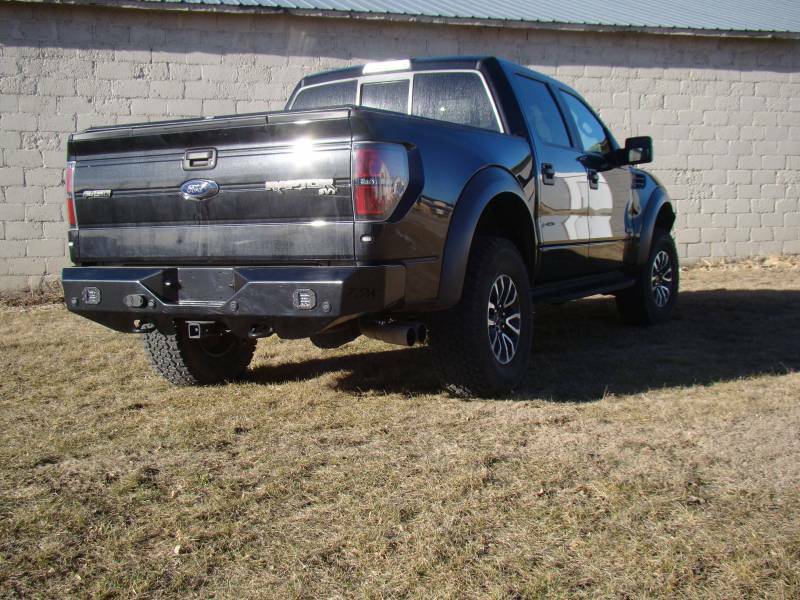 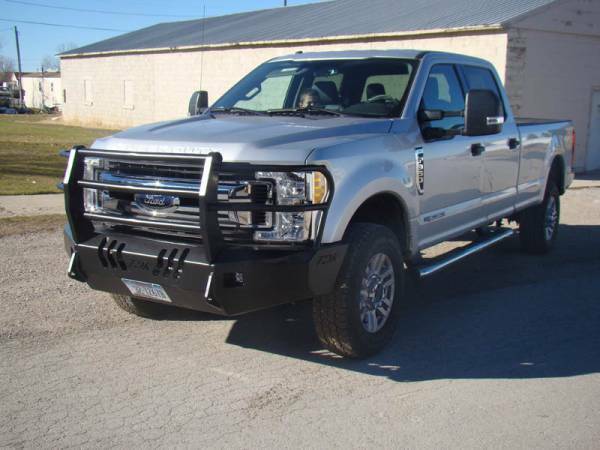 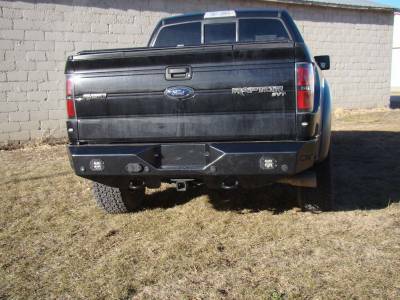 Not only does this steel bumper look great but it offers protection for the rear end of your truck. 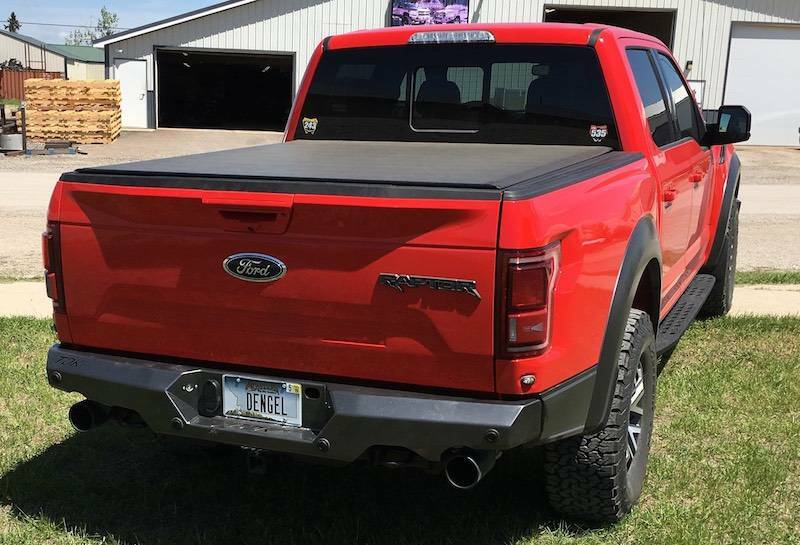 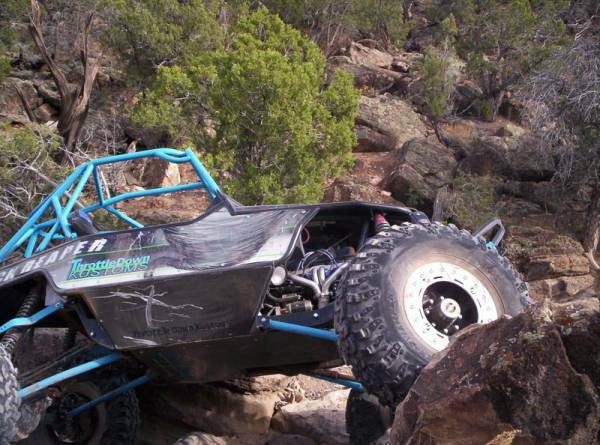 All TDK bumpers are handmade in the USA, and our meticulous production process results in high-quality rear bumpers that can endure the harshest conditions for a lifetime. 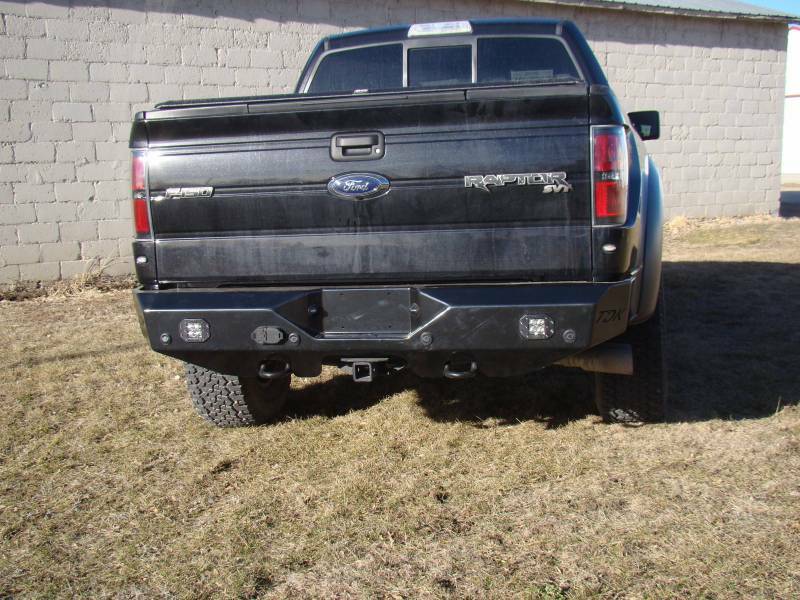 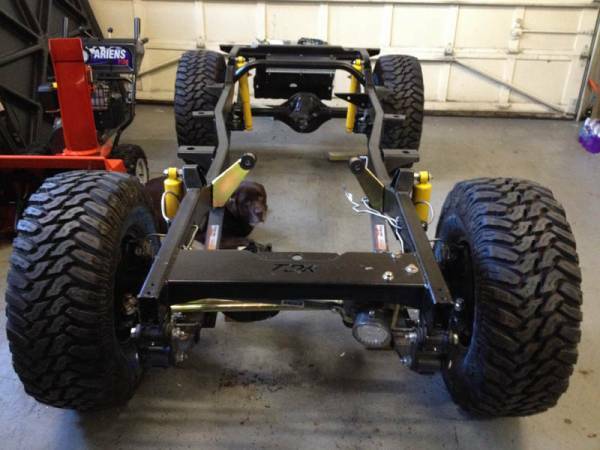 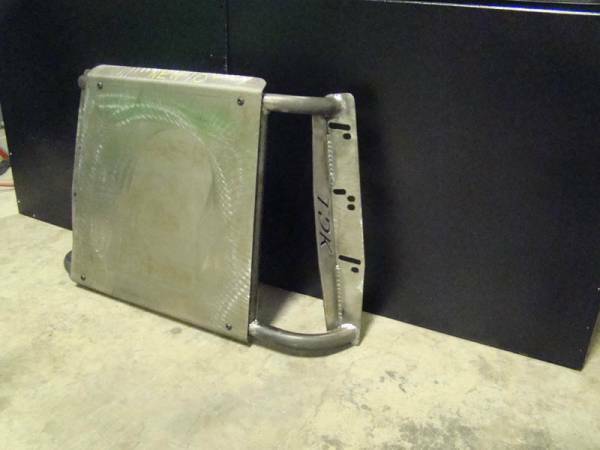 In fact, this easy-to-install bumper may outlast your truck. 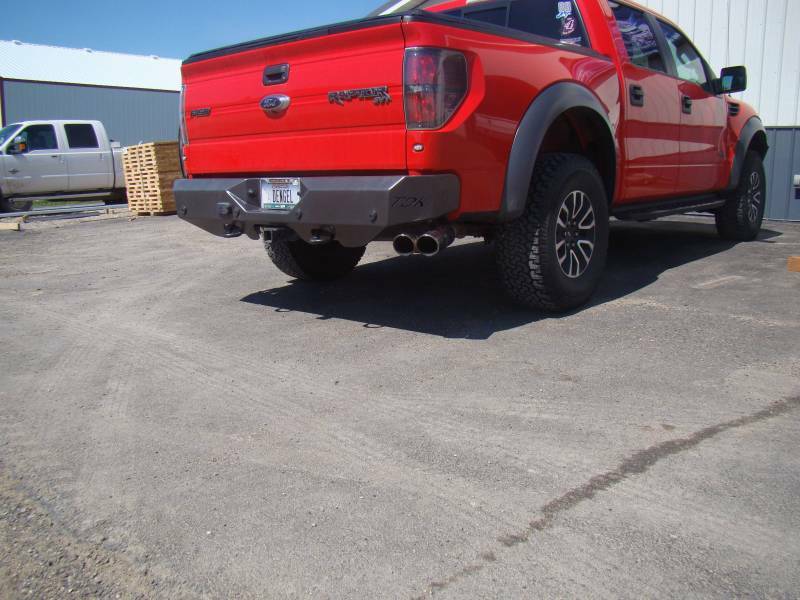 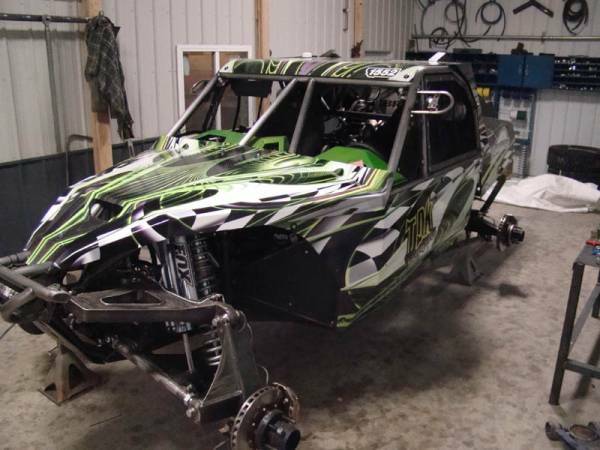 If the bumper is shipped with a bare steel finish, it is shrink-wrapped ready to paint with no swirl marks TDK bumpers are also available in three colors of powder coating to prevent corrosion. 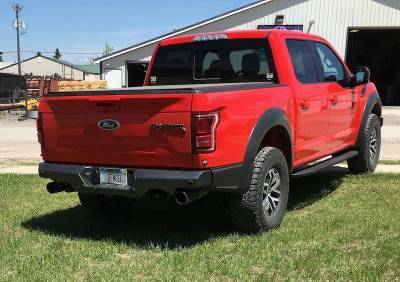 If your aluminum or plastic stock bumper isn't offering the protection and rugged look your hard-working truck needs, buy a Throttle Down Kustoms bumper today.